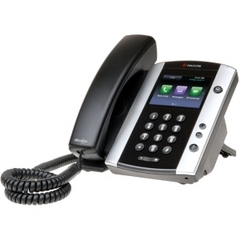 Almost all Voice over IP (VoIP) telephone systems support remote extensions. Your company’s live receptionist (or automated attendant) can transfer an incoming call to your extension, no matter where in the world that it’s located. And you can have a group of phones set up to ring simultaneously – as your extension rings, the call will ring at your work desk, at your home office and at your cell ..so that you never miss a call. Most people think that a Mac will not become infected with a virus, trojan, malware or adware. Unfortunately, this is not true. I’ve recently had to treat two Mac infected computers in as many weeks. From the very basics of Microsoft Windows (or Mac) and MS Office to the advanced setup options within Office 365 and its many components, I am offering a free 30-minute live training session to consumers, independent business reps, office managers and decision makers. Your own questions determine the agenda. This is your private Q&A session. From the comfort and convenience of your home or office computer (or your tablet or smartphone), your session will be held securely online using SSL and 128-bit encryption, and it can be recorded upon request for your further review. Please reply to this email or Contact us to redeem this time-sensitive offer. In my mind, backing up is a thing of the past. If you set up your systems right, then it’s all backed up inherently. The traditional concept of backing up is to copy files from your computer(s) to another physical drive on the premises. That’s fine until the local hoodlum or catastrophic storm runs down the street with your equipment. I might suggest that Office 365 and its OneDrive is the best solution. But this reveals the same problem – what about your application systems in addition to your data? There is no better solution in my mind than to use a virtualized and cloud-based desktop system. From any device that supports a web-enabled browser, one can access both their data and their unique programs – no matter what happens! The best scenario is this: your office desk, whether actually in an office environment or in a home or mobile environment, would be equipped with a Linux-based thin-client or any computer of your choice. You would launch your browser (IE, Chrome or Firefox), and then you would navigate to a particular portal or personal web site. Once logged in, your Windows-based desktop would appear with all of your applications (even engineering and graphics intensive) and data would be readily available. So if the computers floated down the street, all you would need is to replace your very basic workstations or relocate to a venue with any type of computers in place. No lost time. And lost time can mean thousands of dollars to a business of any size. Resolute IT has a tried and true solution for you that we call RIT CSP, so please Contact Us.